Tracks4Africa started out by sharing tracks and waypoints and from this data we later started building a map which grows organically as people travel and contribute data or comment on aspects of the maps which needs to be updated. Most people do not realize that we build maps from community sourced data, however there is a strong base of people who contribute whenever they travel. Some people even map their home towns and send us all this data. The basic idea remains that travellers who visit places knows best what should go onto the map and it is actually just the way in which they communicate this to us that is changing. The basic way of contributing to the map is by recording tracks and waypoints with your GPS. This data is then downloaded to the computer and the file containing the data is mailed to us. Today this still represents a large percentage of the data we receive. Our mapping team will then start working on the data and depending on the nature of the data they may communicate with you to get clarity or request more information. At this point in time this is still a very prominent part of our map building process and we have trained staff with domain knowledge to process each data contribution (for which we are very grateful). However we know that today, better ways exist to collect data and where many people still prefer to record data with their GPS there is potentially a much bigger source of data if one look to different ways of using GPS technology. Satellite imagery became common place and this is a great aid to our mapping team to check data we receive. You can identify roads, buildings and other features which enhances the map. As an example, if someone stopped somewhere for a while we can see this from the GPS track and if no waypoint was created we can turn to satellite imagery to see if there are any infrastructure at that position. This could lead to further investigation or they could mail you to ask if you remember what this place was. If I have to say, I think the availability of aerial photography and satellite imagery is one of our biggest aids in the office, however with it comes a very tempting trap. So many other map makers simply trace data from satellite imagery and some even have sweat shops where cheap labour is used to churn out thousands of kilometers every day. There are some areas on the map where this can be done, however if your aim is to build a map for remote travel then this approach will quickly get you into trouble. We use imagery as a backdrop against which we can check GPS data. We will also fill in gaps where it is very obvious that a road continues. We also use it to verify the position of a place. Many lodge owners will send you their GPS coordinates and we need to check if these are in the correct position before adding it to the map. Vehicle tracking systems are used all over Southern Africa and while the primary aim of these systems are to facilitate vehicle recovery in the event of theft or fleet management, these systems are also a good source of new track data. 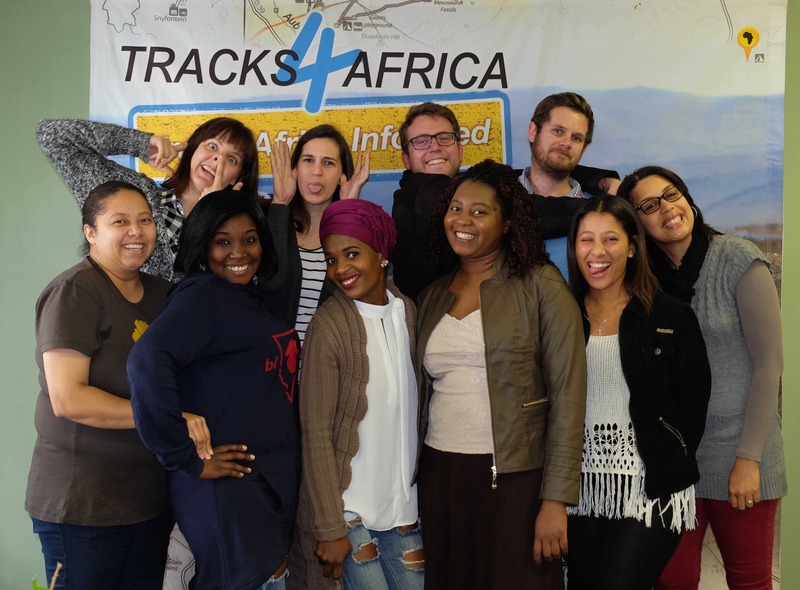 Tracks4Africa acquired a stake in one such company, a small one compared to industry standards but a very innovative and flexible one at that. We integrated our systems with the vehicle tracking system to offer various services, but anonymously we can collect data on where vehicles travel. New roads are identified automatically and flagged for inspection by our mapping team. New property developments are always cropping up and just a single track through such a network of streets can raise the flag to map out the new neighbourhood. The average speed at which vehicles travel can be updated from such data, very similar to live traffic but more static in our case as we focus on remote areas. With each new map we run a set of calculations to identify where road speeds have changed. For example, a bad gravel road may have been upgraded and now the average travel speed increased and this route might become a more viable option. Different vehicles travel at different speeds. A big truck vs a sedan vehicle will yield different average travel times and by identifying vehicle types (where the data is not anonymous), we can extract what we need for different vehicle classes. While our focus is on travel we envisage that separate routable road networks may surface as this data grows. One example of such a vehicle group is of a 4WD vehicle rental company whose vehicles are used by travellers all the time. This data is ring-fenced for more in-depth analysis. From track data one can identify stops and overnight places without having to source specific waypoints from these travellers. We create overnight stops from this track data which is entered into our point of interest research team. We can also easily compare these stops to our current POI data and start building up a record of popular places. One of the most irritating aspects of travelling during school holidays is the delays experienced at border posts and other popular places. While this is a work in progress our algorithms are being developed to identify places where seasonal delays are experienced which could lead to handy travel information for future trip planning. Tracks data can also show when last a road or more specifically bridges and ferries were used. If certain infrastructure start showing signs of falling out of use we are now able to flag these for inspection. Sometimes a ferry is replaced by a new bridge or a bridge has simply been damaged by floods which could affect your trip planning. When we started out building a geographical information system (GIS) of travel information the GIS technology was adequate for our purposes, but it has progressed extensively over the years. A few years back we found ourselves in a position where we had to grow our GIS capacity. We worked in silo’s and often work was lost. So we made the massive jump from working on separate GIS files to an online GIS data repository. We built a system to our needs where we can house all the tracking data and use it when working on the map. Now we have several GIS technicians working on a single data base. With this development we also enabled our teams to work with SQL scripts to automate mundane tasks. As an example, we have an algorithm stepping through raw GPS data to extract average travel speed per road segment. This was a task that was done manually just five years ago and took endless hours to complete. Now we simply run a script to do the work in the background and anomalies are flagged for inspection. We also integrated our point of interest research with our GIS data base. This means that our data researchers can insert and edit new points directly to our GIS without having to have any GIS skills per se. We have also enabled our teams to work remotely to an online repository which means that some of our researchers can work from home, remote locations or while on the road. Our customers would not see these changes and investments however we have increased our capacity to such an extend that we can now tackle very large projects without having to worry about the underlying infrastructure. During 2015 our mapping team took on the daunting task of integrating all the suburban streets of South Africa into our map. I thought that this would have been an enormous task, taking tears to complete. However I was pleasantly surprised when the team came just six months later to report that the job was done. Now we are on the lookout for places we have missed and where new developments are pooping up. 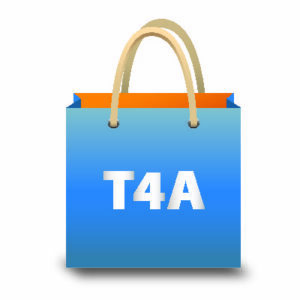 So next time you look at the T4A map in your (South African) town you will notice that the streets are complete. If not we would appreciate a heads up! Another big project which we could not have handled without this infrastructure is the integration of large point of interest data sets. Our maps are for travellers and the number one question asked by travellers is: “Where do we sleep tonight?” So we started to look at integrating the data sets of booking engines. It is in their interest to get as many of their listings on various platforms and we signed up. What we quickly noticed is that the location data from these sources are not that great and our researchers must verify the location of each new listing entered onto the map. This is aided by a custom web page which brings up all the supporting information required to verify a listing and it is all done online. There are plenty of room for improvement in the way we allow regular travellers to contribute to the map. Be it new places, updates to existing places, adding photos or reporting errors on roads. We have launched our Guide App last year and this app is destined to become a data collector as well. The idea is to allow users of the app to easily report errors or new data. This data will be uploaded to our data base and entered as data submissions. This will allow travellers to report problems right there on the spot when you most irritated with it! We are also looking at ways in which we can allow users of the website map to report problems. We are currently building our new Southern Africa Atlas (a book format). The cartography for this atlas will be published on an internal website for various people to peruse the map and report issues before we finalise the production version for proof reading. The same technology is destined to be used on our web map. If you read this far, thanks for your interest in the way we work. As you can see there is a lot happening in the background and we are constantly investing in our technology to improve the way we work and ultimately create reliable and up to date travel information. Navigating through your website, however, has become problematic. My advise: continue with all the cosy strories, but create a separate webshop in your menu, for those who wish to buy instead of read. Thanks for your input Eddy. Yes, we are busy developing a new e-commerce online shop. Good idea to link our webshop through to a menu on our blog. Johann, I’ve regularly used the old Garmap Topo & Rec map that has 20m contours on both the Nuvi 1410 (which has broken) and the Montana 650 without any problems. I know Eric doesn’t like them (perhaps his eyes aren’t like mine :-)) but I do enjoy the Topo maps. So perhaps a sample/demo map might help in this. Johan the new maps are very good with all the detail that has been added. Currently contours are shown at 200m intervals. Is there any chance of producing a proper Topo map with contours every 20/25 metres? It is certainly available and possible, but on some GPS models the contour lines are displayed as thick lines which clutter the map really badly. But the notion is being discussed, so please let me know what you think.